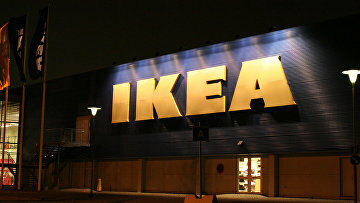 IKEA affiliate appeals recovery of $283,000 in favor of Gazprom subsidiary | Russian Legal Information Agency (RAPSI). MOSCOW, May 21 (RAPSI) - IKEA Centers Rus Property A has appealed a court order to pay 16.6 million rubles (about $283,000) to Gazprom gazoraspredeleniye Voronezh, a subsidiary of Russia’s oil giant Gazprom. The Tenth Commercial Court of Appeals will consider the appeal on July 2, according to court records. In April, the Moscow Commercial Court recovered a 16.6-million-ruble debt (about $283,000) from IKEA Centers Rus Property A in favor of Gazprom gazoraspredeleniye Voronezh. Moreover, the court dismissed a IKEA subsidiary’s counter claim for recovery of the unspent part sum of advance payment worth 6.7 million rubles ($114,000) under a distribution connection agreement plus 126,600 rubles ($2,200) of interest. According to Gazprom gazoraspredeleniye Voronezh, on December 16, 2015, the company concluded a contract with the defendant. Under the agreement, the subsidiary of Gazprom assumed an obligation to carry out technological connection of IKEA’s capital construction projects in the Voronezh Region to its network. IKEA Centers Rus Property A in turn was obliged to pay services of providing connection and all accompanying expenses of the plaintiff. The defendant paid over 7 million rubles (about $120,00) as a down payment. As Gazprom gazoraspredeleniye Voronezh incurred expenses totaling to 23.6 million rubles ($402,000), the defendant owed 16.6 million rubles to the plaintiff. The court has accorded the plaintiff saying that the defendant has not introduced evidence supporting compensation for the Gazprom subsidiary’s expenses. 10:47 21/05/2018 IKEA Centers Rus Property A has appealed a court order to pay 16.6 million rubles (about $283,000) to Gazprom gazoraspredeleniye Voronezh, a subsidiary of Russia’s oil giant Gazprom. The Tenth Commercial Court of Appeals will consider the appeal on July 2.